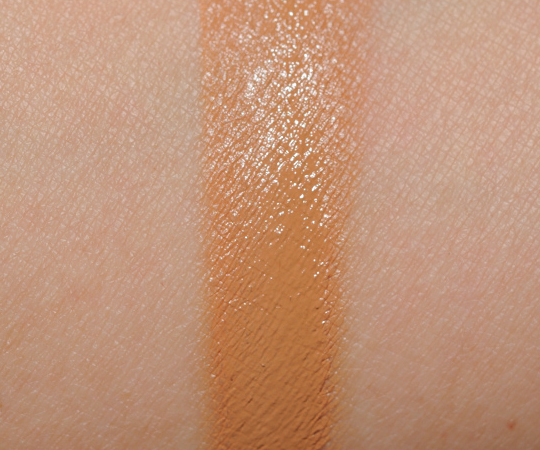 OCC Skin: Conceal ($20.00 for 8.5 grams) recently launched with twelve shades (which is impressive for a concealer range). There are six yellow-based shades and six red-based shades. 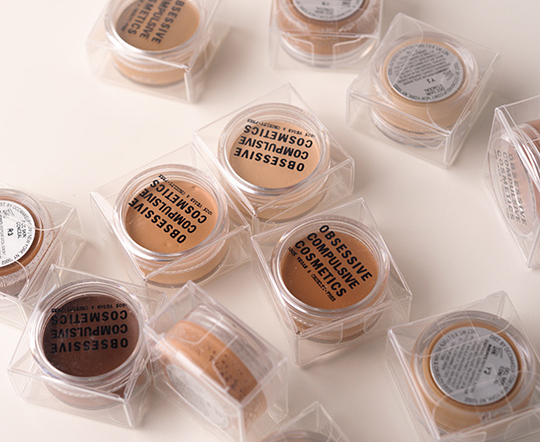 Each concealer is packaged in a clear plastic screw-top jar, and inside is the concealer. The concealer is in a hardened block, but it’s creamy to the touch and as you dip your brush in it. The texture isn’t too creamy, which can lead to a lot of settling or sliding around during the day, but it isn’t so dry that it’s difficult to blend out. It has amazing opaque coverage; it will hide just about anything, and it never feels heavy, looks cakey, or requires a lot of product. Just a quick pat of concealer on any area will conceal most imperfections. Y2 was a good match for me and most of my face; if I want to be really perfect in color, I mix a little of Y1 in, but usually, Y2 is very, very close. I’ve been reaching for this a lot in the past few weeks, because it’s quick, easy to use, and lasts all day. It doesn’t slide around, separate, or crease during the day. I very rarely use concealer, though I’ve been reconsidering as the older I get, the less sleep I get (I wake up 3-4 times a night and get about 3-4 hours total), I have found it has impacted my under-eye areas. I’ve used this underneath the eyes, but I’ve primarily been using this to conceal little imperfections on the skin before running to the store. I love that it looks as natural as my real skin, because I’m not wearing any foundation or tinted moisturizer – just the concealer patted on the areas I needed and out the door. My preferred application method is definitely fingertips. It warms up the product just a wee bit, and it helps blend the product in effortlessly. I have used OCC’s Concealer Brush (which is what is recommended by the brand), and it works well, but the brush itself sometimes feels too big. I like smaller, more precise brushes for concealer work myself, and then I like a fluffier brush to blend out the concealer (something like MAC’s 217). One thing about application is less is so much more; a little goes a long way–and I’m serious!–use much less than you think. Even if you use fingertips, and you hardly see any on your finger, go with it. You’d be surprised! I really appreciate OCC’s commitment to their customer base (both professional and consumer) and quality; these concealers took two years to develop to be David’s (the founder) “perfect” concealer. It’s not too creamy, lasts all day long, doesn’t crease, and works even when my skin is a little dry. 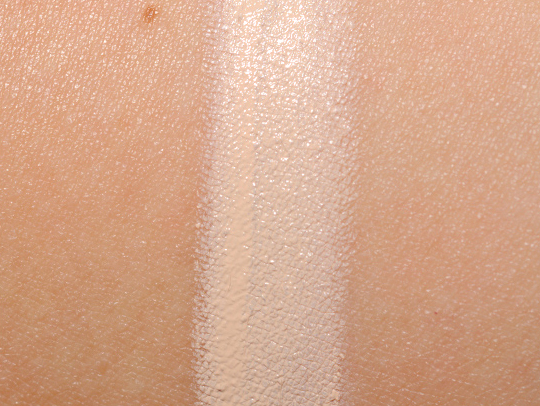 The coverage is fantastic; totally opaque but can be sheered out if you need lighter coverage. R0 is the palest red-based skin tone. R1 is a pale red-based skin tone. R2 is a medium-light red-based skin tone. 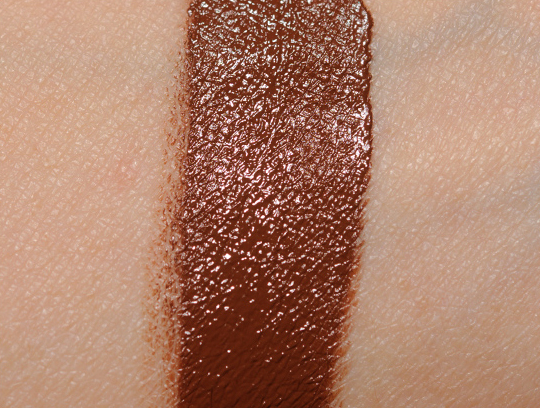 R3 is a medium-dark red-based skin tone. R4 is a dark red-based skin tone. R5 is the darkest red-based skin tone. Y0 is the palest yellow-based skin tone. Y1 is a pale yellow-based skin tone. Y2 is a medium-light yellow-based skin tone. Y3 is a medium-dark yellow-based skin tone. Y4 is a dark yellow-based skin tone. Y5 is the darkest yellow-based skin tone. Oh man, I’ve just bought an Illamasqua concealer that I’m not massively impressed with, I wish I’d saved my money and bought one of these now because the 0 shade looks like it’d be pale enough for me! @radiofireworks The 0 shades a super pale I love them for that. I will definitely be purchasing some of this concealer. Oohh thank you for this review. I like OCC and I’m really glad to read that this is a good product. When I stopped by the booth at IMATS and saw them and tested them, Y1 was way to light and Y2 was too dark and I wasn’t sure if it would have been worth buying 2 concealers to get my perfect match… and seeing how amazing it looks under the eyes I kinda regret not getting this product…. are there any other products that you find performs the same as this product? @Normajean23 The only concealers I really use are Cle de Peau’s and this. I like both for different reasons – I keep Cle de Peau in my purse, because it’s in stick-form. Cle de Peau is much, much creamier. I’d say this will go further re: opacity, too. Hi Christine! How does this compare to theBalm’s TimeBalm concealer? TimeBalm is thicker, less creamy. Oooh, I am SO intrigued by these! I’ve been thinking about trying a new concealer and the review of this sounds stunning. Now, which shade to pick…I’m always so nervous I’ll pick the wrong one! Instantly intrigued by this concealer. I’ve been looking for one that does double duty–a creamy one for under eyes and one that wont budge on acne scars on my T-zone. I still can’t decide between MAC’s studio sculpt (under eyes) or studio finish (T-zone) as neither of them are quite perfect for double duty! Kind of hoping that this concealer is the lucky ticket, as you describe it to be creamy but long lasting. Just a quick question though, would you say that their Y2 is similar or close to MAC’s NC30? I’m about NC30, and I use Y2! Which would you suggest for “true” neutral skin? 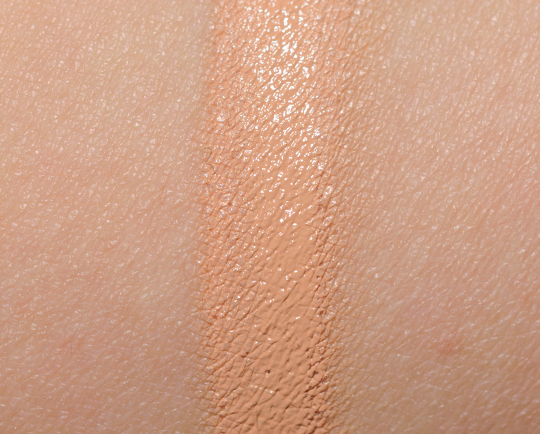 I fall somewhere between NARS Siberia & Deauville, and in MAC NC is too yellow, & NW is too pink. Should I just get a red & a yellow and mix them? @xamyx You might ask OCC – they are usually very responsive 🙂 The yellows seem pretty yellow to me! Wow this looks great! I’ll have to try it as I have the worst under eye circles and nothing seems to cut it. I was wondering which color would you recommend for yellow/olive skintone(NC30)? I’m about NC30 and I use Y2. @Nymph1816 They’re completely opaque. You should check out SayAnythingBrooke’s YT tutorial – she hid a sunburn with it! @Ani_BEE Thanks Ani -B 🙂 I actually tried that brand about 3 years ago, I believe and it was simply too dry for me even with a moisturizing eye cream. It ended up looking patchy, but the coverage was very good.. just wrong texture for my skin. Concealers are strange that way, I find. 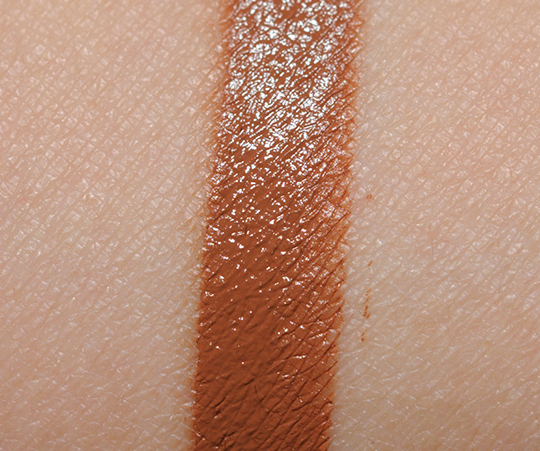 Thanks for the review and swatches, Christine! I really appreciate your hard work! 1 looks like an almost perfect match. If it was just a bit darker, it’d be perfect, but I can work with it being a little lighter. These actually look incredible. I’ve been using my truty Bobbi BRown concealer for years now, but I feel like lately, I need something a little diferent. I want tsomething a bit more creamy and opaque, so definitely checking thse out. Do they sell in stores anywhere Christine? @Becca @The Beauty Sample Your best bet would be to check on OCC’s website! I feel like the pale ‘red tones’ are very dark. I have pink/red undertones and R0 would be too light and R1 would be waaaay to dark. @MIRIANV Agreed. I’m an NW25 in MAC, and I don’t think any of these would be a good match. R0 is too light and R1 is slightly too dark looking. @Atanza I’m a NW15 in MAC and I still don’t think these would be a good match. the Ro looks like it’d be meant for like NW10! I’d love to check this out, but I’d be weary buying without being able to swatch first. @MIRIANV I had the same reaction. The color jump between R0 and R1 seems much more drastic than between Y0 and Y1. I’m also confused by the fact that R2 looks darker than R3. i noticed that…it’s not fair, they should have made an in-between shade for the red undertoned light people. Hi 🙂 How does this compare to theBalm’s TimeBalm concealer? Ooh, I wish I can try this out in person before I commit to buy. 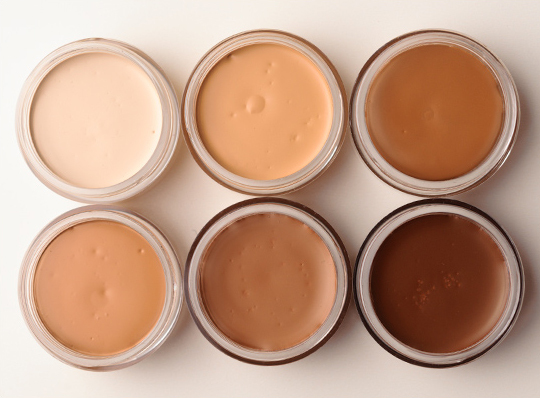 Concealers are very personal and it’s so hard to color match without trying it on first! These look great, but I wish I could try them out first! R0 looks pretty close (I’m very fair), but I have very neutral undertones, I would likely want to mix the R0 and the Y0. I also agree with everyone that R1 looks very dark! The packaging reminds me of theBalm Time Balm concealer. How does it work with fine lines in the under eye area? Does it settle in them/emphasize them? You need to get more sleep Christine! You can’t go on forever with 4 hours of sleep per night, it’s just not enough for your body to rest and repair itself. Sleep deprivation will make you sick! If it’s been going on for a while, you should probably talk to your physician about it. Take care! @Lulle I go to bed and try to get about 8 hours of sleep – it just doesn’t happen. I don’t want to go on any sleep medication. It’s been going on my entire life 😉 I’m a very light sleeper! My big problem with sleeping pills is that (last I checked) they all had a tendency to be addictive. I’m not 100% keen on them to begin with, and then the addictive nature is off-putting. Do you take anything? Any good remedies? My biggest problem is *staying* asleep. I fall asleep in 15-30 minutes usually, but I’m up every hour or two and we repeat the process. A good night is waking up around 3am and 6am! @Christine (Temptalia) *clears throat, puts on Sleep Issues Hat* So. As per my psychiatrist, there are no good long-term sleep remedies. The only one I know of that *isn’t* addictive is Rozerem, which a friend of mine uses and swears by. I have tried, personally, a couple of sleep meds that didn’t work for me and a bunch of benzodiazepenes and other anxiety meds that have a tendency to be sedating. It depends on why you can’t sleep – for me, I had problems falling asleep *and* staying asleep, so I would take something to help me conk out and then like half a dose when I woke up at three in the morning. I know a lot of medications that will make you really sleepy (see: seroquel) but if you don’t have anxiety or depression to go along with them they’re probably not things you want to be taking. The other thing, too, is that doctors are saying a lot of sleep medications may in fact work on the placebo effect, that they really *don’t* give you much more sleep or better sleep than not taking anything, but people think they do, so it works. I’m not knocking the placebo effect at all: if it works, go for it – but that’s just something to keep in mind. There are herbal capsules out there that contain things like melatonin and valerian, which are supposedly sedating, which you can try; I tend to avoid herbal remedies beacuse I’m on other meds and don’t know how they interact. But they can be worth a try. You can also ask your doctor about a short-term prescription for one of the general sleep meds out there; it’s possible you’re just in a bad sleep cycle and once your body gets used to staying asleep all night you’ll do okay once you’re off the meds. So that may be an option, too. If you have any other questions about sleep meds, sleep disturbances, or that sort of thing feel free to shoot me an email 🙂 I think I’ve rambled enough in here! @Christine (Temptalia) I feel where you are coming from with sleep issues, too. I used to take sleeping pills a lot, but, not even those really did much. They would help me fall asleep, but I would still end up waking up repeatedly. I’ve always had sleep problems for as long as I can remember. I used to get in trouble as a kid for having my light on at night because I was supposed to be sleeping, lol. @blueraccoon When I had atarax for anxiety, it helped keep me asleep – but only about 30% of the time. I remember I’d take one before bed for sleep, and then it wouldn’t work when I wanted it to! Thank you so much! Maybe it’s worth a shot to try them in the short-run to see if it is a bad sleep cycle like you said. @Christine (Temptalia) The thing about atarax is that it’s actually an antihistamine? So another anti-anxiety med like alprazolam or clonazepam or whatever (one of the azepams) might work a little better. They are addictive, to be sure, but if you only take a small dose for a short while you’ll be fine. Out of curiosity, have you considered how much exercise/movement you do daily? I know that sounds odd, but after years of insomnia (exacerbated by my ADHD), I found that the more rigorous my physical schedule was during the day, the easier my body found deep sleep. This became especially important when I started working night shifts and had to contend with an unnatural sleep cycle. I still have days where I wake up continuously every few hours, but it has helped to curb the overwhelming tendency of that to occur. Regarding sleep meds – is the melatonin you’re using sublingual or oral? For a lot of people, the bioavailability of melatonin is severely contracted by digestion. It can be hard to find, but there are chewable/soluble tablets that will dissolve in your mouth and absorb into your blood stream through the vessels on your tongue. The pharmacist who recommended it to me actually stated that he found it worked much better in that form. The only other OTC drug I can recommend is generic Benadryl (diphenhydramine), which does induce drowsiness in the vast majority of people. (It’s even sold repackaged as a sleep med in the form of Unisom – which I do not recommend buying because it’s a complete rip off. They’re charging you extra money for an old drug just because FDA standards require a change in brand name for different applications of a drug. Just go for the generic.) However, the problem with Benadryl is that it does have a very long half life – if you take it one day (especially if you double up the dose to 50mg instead of 25mg), you’re going to have to skip the next day because you’ll wake up the third day exhausted and fatigued because you have too much drug in your system. It does work; it just that you’re limited to an every other day dosage. On a final note, while I understand your concerns on the addictive quality of sleep meds, I just wanted to point out that almost all medications have the possibility for dependence. It has more to do with how the individual handles the drug. (I’ve been working in pharmacy for years, and you would not believe some of the stuff we’ve had to put on tight regulation.) Which is to say – don’t let the fear of potential addiction necessarily keep you from getting a drug that could help you out. If you have concerns regarding family history or personal biochemistry, then you can speak to your doctor about that in advance. Most of them are willing to recommend alternatives or particular meds that are limited in their inability to induce dependence. Melatonin doesn’t work well for me, but it also gives me bad dreams, which is why I don’t like taking it. I usually fall asleep within 15-30 minutes, so I don’t need anything to make me drowsy so much as I need something to keep me asleep! Thanks for the advice about benadryl! Good to know that you can’t do it back-to-back. @Christine (Temptalia) As a fellow insomniac, I sympathize. My mother sounds like you; she can’t stay asleep and her body only seems to need about 3-4 hrs of sleep a night. All of us in the family refuse to take anything addictive. But my mother takes Alteril which has melatonin, L- tryphtophan & some other things. It helps her *stay* asleep for a whopping total of maybe 6 hrs. LOL. Perhaps the addition of the other things would counter the melatonin effects on you? Before that, she was taking generic Benadryl for the reasons Veronica mentioned. My sister who also has some sleep issues takes Desyrel (generic name Trazadone) which is theoretically first an anti-depressant and then a sleep aid. She doesn’t have depression at all, but her doctor of 10 yrs prescribed it to help her sleep since it is not addictive. Me? I’ve tried it all and nothing helps. I’ve even been to sleep doctors; my circadium rhythm has been screwed up since childhood in addition to the insomnia, and my body also metabolises drugs/medications in a weird way. But you may want to look into Trazadone. BTW, I cannot get over how amazing the skin under your eyes looks. I remember those days! LOL. Now, at my age, my sleeplessness *really* shows; with every hour I don’t sleep, another line seems extra emphasized. @Christine (Temptalia) What size melatonin pills did you try? I’ve seen everything from 1 – 10mg. I’ve actually been taking the 10mg pills for awhile (well, I was taking 2x 5mg ones before I found the larger pill) and they’ve worked pretty well for me. Also, I’ve found podcasts are good for putting me to sleep, so I got a newer gen ipod nano, clip it to my sleep shirt, and let it drone on into my ears. It works if you can listen lightly enough to not disturb anyone else in the room. @Christine (Temptalia) If this blog is any indication of the amount of time, effort, & energy you put into everything you do, then I’d put my money on anxiety. If I know I have deadlines, or things that *have* to be done, I find that I have trouble staying asleep as well. It may be a good idea to take a step or two back, and try relaxing. I know that’s probably easier said than done, as it seems you also thrive on having a full plate (I’m the same-I always have to be doing *something*). It’s a complete paradox, but if you want to avoid meds, take some more time for yourself. As much as your loyal readers love your work, I’m sure they care more about you, and want you to take care of your health. I hope this makes sense. @Quinctia I’ve taken, 1, 3, and 5mg – if I take more than 3, then I get bad dreams, which keep me up far more than not taking anything at all! @Christine (Temptalia) Hi Christine, I know you said you’d rather stay off drugs, but have you ever considered trazodone? It’s actually an antidepressant (I’m prescribed it for anxiety, for which it works AMAZINGLY well), but it’s often prescribed as a sleep aid too in lower doses. The great thing about it is that it has a really short half life inside the body, so you don’t have to take it every day the way you do with other antidepressant-type medications, and it’s nowhere near as physiologically addictive as other anti-anxiety medications such as benzos. 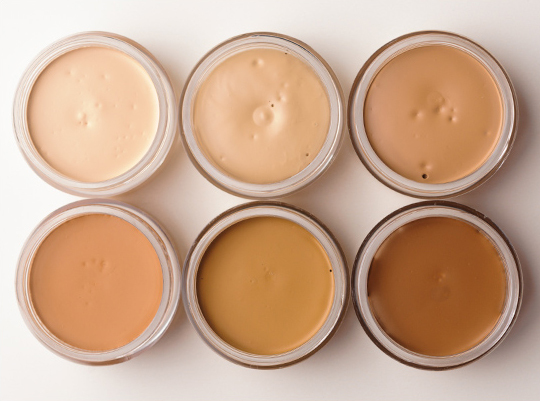 Could you compare these to some other concealers on the market? I’m curious to know how you would compare these in terms of coverage, blendability, etc. to other concealers like studio finish concealer and Cle de Peau’s concealer? I’m about to repurchase Cle de Peau’s so I’m curious to see if you have any thoughts about how the two formulas differ? Thanks a bunch for any thoughts you (or anyone else) have on the matter! @yellowlantern I haven’t used Studio Finish. The texture is sooo different from Cle de Peau. do you know when/if this will be available in the uk? What would the MAC equivalent be to the 0 shades? How much lighter are they than NC/NW 15? @heidiaclayton Sorry, I am not NC or NW15, so I don’t have those shades! where can I buy these in the states? Click the link where it says “Where to Buy”! I’ve heard a rumor that OCC is coming to the Sephora by the end of the year. I was just looking for swatches of these! What do you think would match NC42? Also, you should prioritize sleep! Is it just me or is R2 darker than R3? @cchloe Sorry! I must have had them switched when they were in a row (I put them in numerical order, but of course, I messed up per usual, LOL!). R2 is definitely lighter than R3! Thanks again for letting me know, and I’m SO so sorry for being such an idiot and not seeing it! I appreciate that OCC took time and effort to include darker shades. Sadly, that’s not something that I have come to expect even though I should. Thanks so much for the swatches/review!! Have you tried the Kevyn Aucoin Sensual Skin Enhancer? How does this compare? Also, what is the difference between using a yellow or red based? Yellow means the undertones are yellow, whereas red means the undertones are red! I think R1 could work! Considering how little sleep you get, you absolutely cannot tell from the photo of your bare eyes – how do not have blue/grey/purple patches there?! They look like you’ve had your beauty sleep for sure, I’m so envious! I’m only 21 but I have horrible purple/grey blotches under my tear duct area because of sleep problems. I don’t take pills either, I went on a CBT course and it actually helped me a lot in terms of sleep psychology, sleep ‘hygiene’ as they like to call it, breathing exercises and so on. I’d definitely recommend something similar to anyone with sleep trouble. @LJ777 Genetics! My mom is an INSOMNIAC. I don’t even know IF she sleeps sometimes, but you could never tell. My sister, on the other hand, has a pretty awful sleep schedule and it definitely shows underneath the eyes. I’ve only started to really notice some under-eye darkening in the past two years I’d say. Like it was never an issue for me personally but they have started to bother me more. I’ll definitely see if there’s a CBT course that I could take! Thank you! @Christine (Temptalia) you’re so lucky :O i’ve always had them, very bad ones 🙁 hereditary. I really like the look of these – very thick and opaque, which I need for my dark circles. Unfortunately, it doesn’t look like they have the color I need, but I hope they work out for other people who have trouble finding a good match! Paraffinum Liquidum is a grade of Mineral Oil, which isn’t always derived from Petroleum, so I’m sure OCC wouldn’t make this claim knowingly if the source was petroleum derived. There are also different grades (i.e. what’s used for automotive industries isn’t the same as what’s used for food and cosmetics). HTH! @Veronica Shaw If I may ask, what other sources is mineral oil derived from? Everything I’ve read points to petroleum, so I’m very curious, as I try to stay away from mineral oils & parabens as much as possible when it comes to products I apply to my face. TIA. Actually Paraffinum Liquidum is a petroleum by-product. It’s not a grade of mineral oil it is the name used by chemists and the scientific community for mineral oil kind of like sodium bicarbonate is also baking soda. All mineral is derived from petroleum but there are indeed different grades. Christine, would you (or anyone) happen to know how these compare in terms of texture, coverage and look to either MUFE’s Lift Concealer or to NARS’? I was planning on getting NARS’ duo in Custard & Ginger, after having had a Sephora MUA use Custard on me. (Custard for under the eyes, Ginger for imperfections.) I really liked its opaqueness and feel, but I don’t have extensive experience with concealers to know how that compares to others out there or to the the OCC one you’re describing. Currently, I’m using MUFE but I don’t like it very much. @Kafka Since lift is in a tube, it’s wayyy creamier, so it can be sheered out a lot and may settle into lines depending on how much you use/your skin type. This is a lot stiffer – like a pot of butter almost. It is totally blendable and doesn’t drag on the skin, but it starts off with a stiffer texture. I would say the texture would be more comparable to NARS, since it has a similar packaging method (in wells), but I haven’t tried NARS’ concealer in a long time. @Christine (Temptalia) Thank you! I’m such a novice with concealers that perhaps you can explain a bit further about textural issus. Your comment about MUFE’s Lift being “creamier” really threw me. The way everyone says “creamier” (like when raving about Cle de Peau’s concealer) would seem to make “creamier” sound like the best thing of all but your comments up above make me think it’s not always a good thing? Shouldn’t creamier things be less likely to emphasize lines or dark circles because they’re *more* blendable? I definitely don’t want something that settles within the lines or seems to highlight them, which is something I sometimes fear the Lift does. Is the MUFE Lift just not a good type of “creamy” concealer or am I actually looking for something else without knowing enough to explain it? What do you think of it? And how do you think it falls on the opaqueness spectrum? 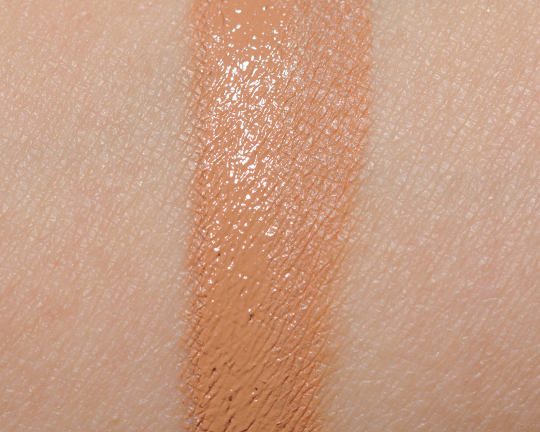 To my novice eyes, it seems like it doesn’t seem to have a lot of opaqueness, at least not as compared to the NARS one. I’ve used a MAC concealer in the past that came in a pot and that was *very* stiff and hard to blend. It dragged and pulled in a terrible way. I want to stay away from anything like that again. Sorry for the plethora of questions and my utter ignorance in all this. I’m just trying to assess how all these things compare, esp. as I’m hesitant about venturing into a new brand like OCC and buying something sight unseen. If MUFE’s Lift is a *good* example of what a creamy concealer does, then maybe I would be better off with either the OCC or the NARS; otherwise, maybe I should see what all the Cle de Peau fuss is about. Hope that makes sense. @Kafka Creamier concealers take longer to set, so they tend to settle into lines before you’re even out the door. Sometimes a creamier concealer is fine for awhile but tends to migrate/move as you wear it – kind of like an eyeliner that’s TOO creamy might be a dream to apply but end up halfway across your face a few hours later. Cle de Peau is going to be between NARS/OCC/MAC (the potted one; they have others that are more like liquid) and MUFE Lift in terms of creaminess. I don’t remember having issues when I’ve used MUFE LIft in the past, but it has been awhile and I couldn’t find a review by me on it (which usually helps to refresh my memory!). OCC is totally opaque. Brooke (SayAnythingBrooke) on YouTube did this crazy video where she hid an entire sunburn with this stuff. I have heard some readers say OCC doesn’t take returns on used stuff – I just read their policy and it seemed like you could return anything for any reason within 14 days, and after that, only if it was unused. @Christine (Temptalia) boo that is disappointing about the return policy! I am very pale with “neutral” undertones so I would have to try to know if 1. the palest shade is pale enough and 2. if either the red-based or yellow-based shade would be best, not to mention testing the product’s formula! Oh well, I hardly ever wear concealer, usually just ysl touch eclat if anything; hopefully by the time I’m actually looking to buy concealer OCC will have changed their return policy. Y0 looks definitely up my alley. I was going to try MUFE full coverage concealer for facial blemishes but I quite like the look of these, and the fact they work under the eye as well. I think the colour jump between Y1 and Y2 is too big. How does it compare to CdP concealer? 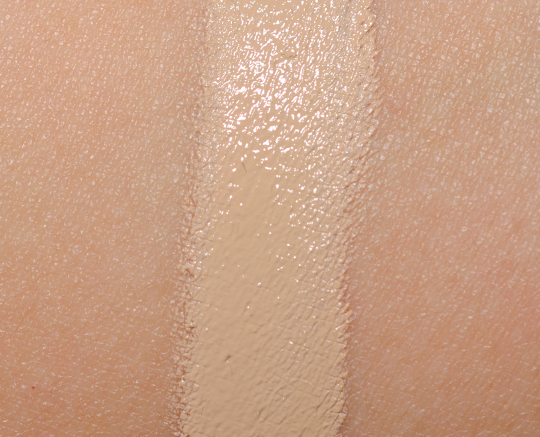 The texture is pretty different – Cle de Peau is much creamier, thinner. I saw these at their store and I didn’t see my shade right off. Im sure these are made for mixing, so once I figure it out, I’m going to need two. I also need to see if they are for oily skin. Thanks for posting! Gosh I’m so excited for these! Thanks for the awesome review! 😀 I’ll probably buy the Y1 and Y0! Great to see a concealer that have an aweosme colour range, and goes really pale! Thanks christine for your great posts! Do you know what would be the equivalent for bobbi brown creamy concealer kit (duo concealer) in warm beige? Im asking due to the fact that were we live we do not have such brands 🙁 and therefore i can only buy them over the internet or when i go abroad! @Claicami I’m not entirely sure! Wonderful post, I was really looking forward to your review of these! There are so many options, but I would love to see OCC make even more since I don’t think the palest ones would be light enough for me. Maybe they could try something like with they do with lip tars by having a pure white, yellow, red, etc. to mix your own. 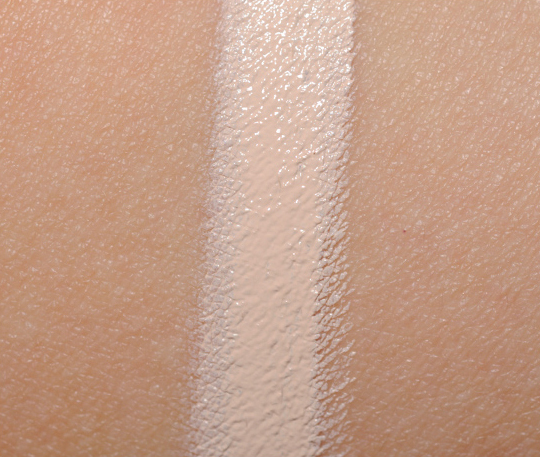 Hi, which concealer would you recommend as a color corrector for NC20? I noticed some of these have the classic peachy shade… Others not so much. Or would you recommend me to try the bobbi brown color corrector one, and then use this as the concealer? These look really awesome. I only wish they were in a store where I could test them on the skin, as I’m not exactly sure which shade would be best. What would be a good color for Asian, NC 30 skin? Presumably the yellow based ones? Or is red better for under eye and yellow to naturalize redness in the face? @uniqlos I’m about NC30 and use Y2! I’m definitely gonna check this out! Thank goodness I live in NYC, LOL!!! 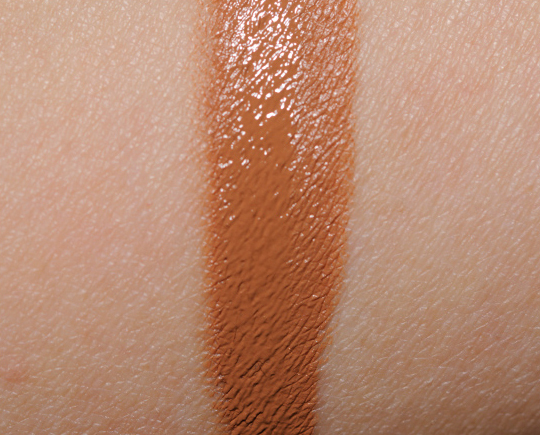 Do you think the darker tones could be used as a bronzer? Depending on your skin tone, possibly! It would probably look a little more contour-like, but it’d depend on how you used it. I’m really pale (think lighter than any Mac foundation) and have cool undertones, and I’m wondering if R0 would work or if it would be too dark? I don’t think it would be too dark at all – it might even be too light. @Christine (Temptalia) Thanks! I’m lighter than any MAC foundation and seem to only be able to use Graftobian’s cream foundation in Porcelain so I hope a mixture of R0 and Y1 is light enough for me. ah i’m so excited about these! How do you think these would do on acne scars? After finally breaking down and purchasing a clarisonic, I broke out terribly, worse than I ever have in my whole life and it stuck around for months. I went from mostly clear skin to just disaster. It’s most clearly now but have been left with horrific acne scars on my pale skin and as a teenager I’m obviously really self conscious about them. Of all the concealers and foundations I’ve tried nothing will cover their angry red color. I wear a nc15 in mac studio sculpt, how do you think y1 would do? Much appreciation for your help Christine, I may not comment very often but I check your blog all the time. Yes, I think these would work well over acne scars! It’s very opaque without being heavy. I think Y1 would work. Y2 is a good match for me at NC30 and Y1 was really light on me! Thank you, Sarah! Good luck! I know this is a long shot, but I used Benefit Boi-ing Concealer in shade 2 (medium), I think Y1 would be the best match for me, but I was wondering what you think. Thanks Christine! @Savannah95 I think maybe Y2 – I say this as someone who is NC25/30 (about medium — I’m closer to NC30 right now since it’s summer) – is nearly perfect on me. Y1 was really, really light. I’d love to try these, as soon as I use up my Tarte concealer, but I’m having trouble determining the right shade for my NW15 skin. The yellow-based shades actually kind of look like they might be a better match, but my skin has such definite pink undertones that the thought of wearing anything that’s billed as “yellow-based” makes me veddy uneasy. Hi this is Elura. How you doing? I am confuse with pick a shade for me will you please help me. I have medium dark skin tone mac NC42 or NC44. I do not know which shade I should pick foe me should I go for Y3 or Y4 please help me. Thank you. @Samia1 If you are closer to NC44, Y4 might be better! @Christine (Temptalia) Thank you so much. I really appreciate you!!! 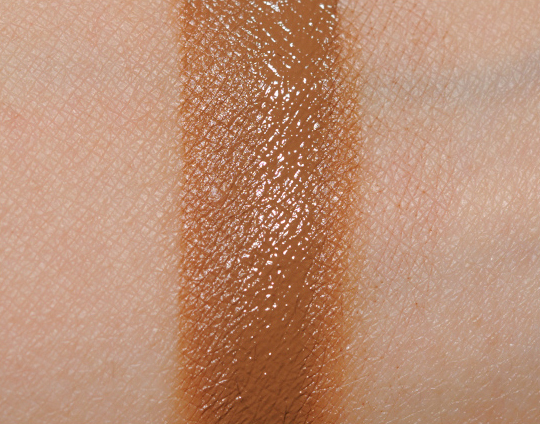 @Samia1 @Christine (Temptalia) I *definitely* want to buy this concealer, but I’m having an awful time trying to decide if R0 or R1 would be best for my NW15 skin. @CNo64 @Samia1 R1 seems like it would be too dark, but R0 seems reallyyyy pale. Probably Y3, but I’m not 100% sure since I am NC25/NC30! I can see already that they need to have Y1.5 and R1.5, then it would be perfect. Hello. I have a Mac nw20 so I guess I would need a R1 but I was wondering if is true that if I have a red based skin tone and wanted to cancel out redness, because my sking is really pink, I should get a yellow based foundation. Because I have a mac concealer in nc20 and it seems to work ok and that is what a Mac counter lady suggested. But here the yellow tones seem very yellow. 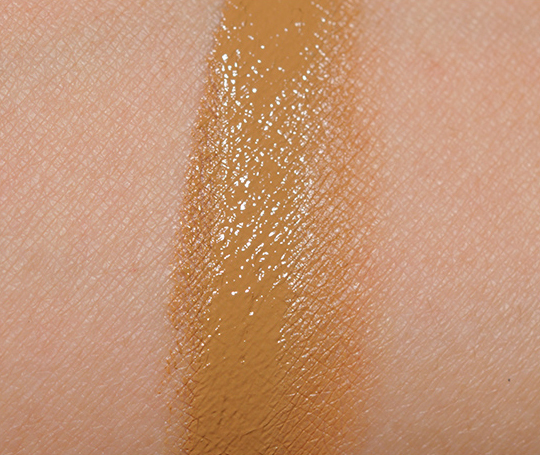 What would be my OCC shade if I’m currently using Nars stick concealer in Ginger? I use Mac Prolongwear concealer NW 20 and Bobbi Brown creamy concealer Cool Sand. What would be my shade from OCC. I think Y3 might be a better match – Y2 is a smidgen too dark for me in places, but it’s pretty close of a match (Y1 being too light to use). Are these good for oily skin? I think they would be! thanks for the awesome review. im a heavy concealer user. i dont leave home without it.. i have such dark circles. right now i use NC35 from Mac PRolongwear. what color do u recommend to use thats a close match to the NC35. can u please help me.. thank u so much..
what shade do you think would fit me best i am using clinique redness solutions in calming fair, which concealer would match me? Hi! I have yellow undertones and medium to light (leaning more on medium) skin. Which two concealers do you recommend I buy for mixing together? Oh and does this concealer accentuate pores? Thanks a bunch! Which one is better, this or MAC’s prolongwear concealer? Thanks! Thanks for your reply!! Maybe R3-R4 you mean? I finally went to the store to try this and I’m so disappointed that they don’t have a good match for me! I’m in between Y2 and Y3…I really had such hopes for this after your review. I’m almost tempted to get both and mix them, but Ouch! That would be a hit to the wallet(not to mention it seems like too much effort) I’m probably taking this harder than is reasonable but, I am so bummed out! Bummer, Lizzie!! 🙁 Mixing Y1 and Y2 hasn’t been too bad, but the $$ I can understand! Hmm, best bet would be to ask OCC! I really don’t know – I haven’t tried to return an OCC product! Would you please kindly recommend a shade for my under-eye concealing purpose? I am an Asian using NC25-30 foundation by MAC, and my under-eye dark circle is not bluish, rather purple. As people say under-eye area needs a shade or 2 lighter than the original skin tone, should I buy 2 shades and mix them or follow the general Y2 rule? The color appear very yellow, but isn’t dark circle needing some peachy color? Should I be comfortable with the yellow line for this particular purpose? Also, what do you think about this product against MAC highlighter or moisturecover? Those MA here love using moisturecover usually, sometimes even the highlighter, but I recall one of them is obviously has a peachy touch to it. I think Y2 would work! Thanx a lot for this long post with swatches of all. Can you pls tell me if these concealers are available in India & do they work for open pores? I believe that OCC ships internationally. They should be fine on larger pores! Hi Christine! I’m running out of my MAC concealer in NW15 and I’m interested in this one. What shade would you recommend for me? I have pale skin with somewhat neutral undertones, but leaning more on the pink side. Hi Christine! Thanks for the great post and swatches! Do you think Y2 would be a good match if I use MAC Select Cover Up in the shade NC42? Thanks in advance! I think it could work! I’m not 100% sure but I think it might. Hi Christine! Thanks for the great post and swatches! I am in the market for a better under eye concealer and I think I”m NC 20-25. I am using the Benefit Bo-ing Concealer in #2 for Light-Medium and I find that it is a bit too orangey for my skin and doesn’t brighten up the under eye area as much as I want to. Do you think Y1 or Y2 would be better for me? And do you think I should go with the OCCs or something else for better coverage? Thanks! Y1 – OCC has a really opaque formula! Y2 is likely too dark!